In what has been a landmark event, the non-profit confidential data publisher WikiLeaks released 8,761 CIA documents in the first part of its Vault 7 leak earlier this month. During the US presidential campaign, WikiLeaks released thousands of confidential and politically significant emails, and has now turned its attention to the US intelligence services. Its “Vault 7” release marks the first bulk of previously confidential CIA files held by the organisation. Most significantly, the leak uncovers extensive details relating to the CIA’s hacking operations and abilities, though as of yet the majority of the files have yet to be scrutinized by journalists and technical experts. The first part of the Vault 7 files was released March 7, 2017 and has been dubbed ‘Year Zero’. According to reports, this batch includes details of the CIA’s global hacking program, as well as various iOS, Android, Smart TV and browser exploits and malware. In response to the release, security experts have noted that the files show how the CIA is working with other security agencies around the world to manufacture vulnerabilities in various devices, allowing them backdoor access to personal data. Meanwhile Apple has said that the majority of the security flaws have been fixed. There have been suggestions that secure messaging apps using end-to-end encryption, including WhatsApp, Signal, Telegram, Wiebo, Cloackman and Confide, might also be affected, but these claims have been refuted by security experts. WikiLeaks has released the first batch of CIA documents, most of which relate to the intelligence agency’s hacking and malware capabilities. Following the release, the CIA has refused to comment on its authenticity, which is the typical protocol assumed by security agencies in such cases. 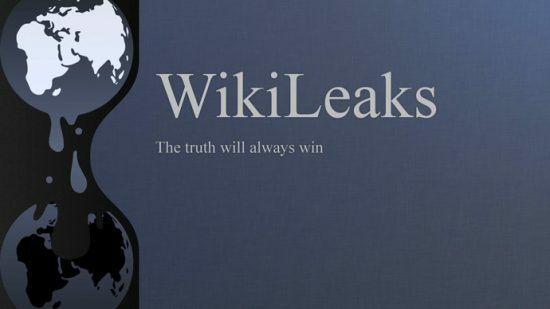 Going by the track record of WikiLeaks, which has a good reputation for publishing credible data from named sources, it’s highly probable that the release is authentic, which has been supported by The New York Times.